If you need help with the maintenance of your lawn you can use our professional help. The gardeners in our company can provide the necessary cares for keeping your lawn trimmed, shaped and lush. They can remove the weeds, spray with suitable detergents to kill the pest and make sure they don’t appear again. Our lawn mowing services can be used in and around Clapham SW4 by holders of domestic and commercial properties. They guarantee improved and refreshed outdoor grass fields which don’t have bare patches or pests. 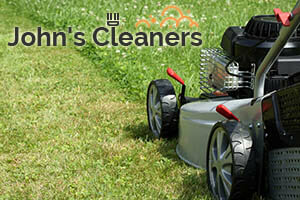 Contact us to schedule the maintenance and mowing of your lawn. You can count on the gardeners in our company to improve the condition of your plants and outdoor areas. They will inspect the lawn and offer you a quote including the gardening tasks which need to be done urgently. If you agree to it and approve it the work will be conducted at a suitable for both sides time. Our gardeners use powerful and advanced machines for mowing lawns which can reduce the height of overgrown grass fields. They can do the work once a week, several times in the month or whenever it is required. 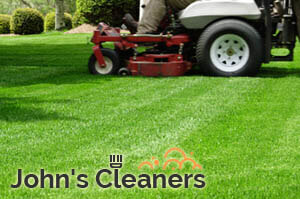 Use our lawn mowing services to keep your outdoor areas, located in Clapham in good condition. Don’t let your garden and the lawn in it become overgrown, filled with weeds and pest. Rely on our gardeners to keep it properly shaped, trimmed and edged to make your property impeccable. We guarantee you professionally done work at a convenient time with long-lasting results. You can add pest removal, fertilising, mulching and other gardening services if you need such. Our staff dispose of the created wastes and trimmings from the place after completing work. Our lawn mowing services can be booked in SW4 London by proprietors of residential and business estates.